“The House the Future Needs Now” aims to hand those who follow us a gift, not a bill. Instead of sending a bill to the future, we are sending benefits. Studio RMA, located in Topanga near Los Angeles, developed the designs and the sculptural aesthetics of the Hi’ilani EcoHouse, based on the carbon neutral design scenarios developed by C-N Tech in the Netherlands. Dutch born Robert Mechielsen, founder of Studio RMA, studied Architecture and Engineering at leading universities in Europe. He is closely aligned with the carbon neutral design strategies of C-N Tech. The Studio RMA team has collaborated with the owners over several years to create the unique forms of the Hi’ilani house. 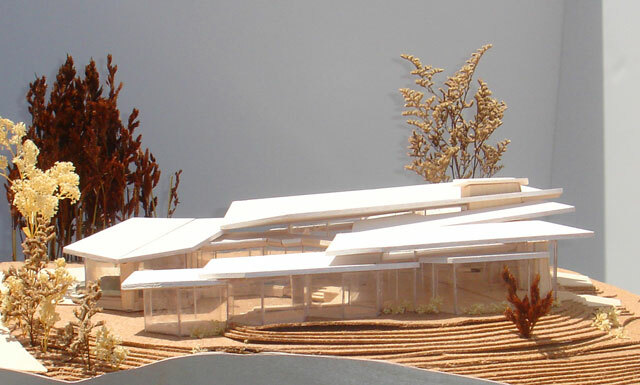 After the main carbon-neutral design scenarios were written, it was clear how the roofs had to be formed, and how the hexagon design had to be placed on the lot to create the maximum capture and reflection of the local climates. Jennifer Fulmer – materials and walls systems.